Are you looking for some quality system admin interview questions that can help you to ace the next interview? Below are the sample Linux System Administration Interview Questions. All other systems on your LAN use the Linux PC as the default gateway for TCP/IP networking. Use the same ISP-provided DNS addresses on all systems. Enable IP forwarding in the kernel. By default, the IP forwarding is not enabled. To ensure that IP forwarding is enabled when you reboot your system, place this command in the /etc/rc.d/rc.local file. Run /sbin/iptables-the IP packet filter administration program-to set up the rules that enable the Linux PC to masquerade for your LAN. The Linux PC must have an internet connection and a connection to LAN. Typically, the Linux PC has two network interfaces-an Ethernet card for the LAN and a dial-up PPP connection to the Internet (through an ISP). Install / reinstall grub $ sudo grub-install --root-directory=/mnt/ /dev/sda ( where /dev/sda is your primary disk) Installation finished. No error reported. Boot from Ubuntu Installation / Live cd - usb, burned cd etc. Reboot your system, remove bootable CD and we should have the boot menu ready when the system starts. During boot select "Try Ubuntu" , Don't select install! Select the proper version of kernel that you wish to boot and type "a" to append the line. At the GRUB splash screen during the booting process, press any key to enter the GRUB interactive menu. Press Enter to exit edit mode and type "b" to boot into single usermode now. Go to the end of the line and type "single" as a separate word. 4) In order to upload files to a remote server using unix utilities, which command should be used? 5) What are the best practices for maintaining security on remote server? Only run services on public interfaces that you are actively using. One common source of security vulnerabilities is in unused daemons that are left running. This includes database servers, HTTP development servers, and FTP servers. Only give users the permission to do what they need to. This includes application-specific users. Use SSH connections whenever possible to secure and encrypt the transfer of sensitive information. 6) How we can discover which version of UNIX is running on a machine? 7) If I rununame –a command, what would be result? 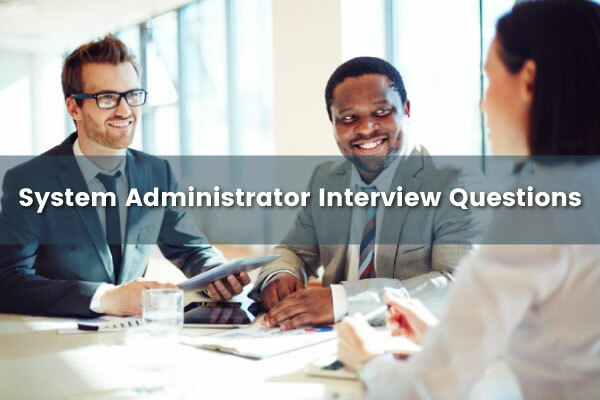 Below are some sample Windows system administrator interview questions. NTFS will change the USN journal according to the file and folder change. FRS creates a file in staging folder on server001 by using APIs (backup application programming interfaces) based on the change. Organizational units-GPOs that are linked to the organizational unit that is highest in the Active Directory hierarchy are processed first, then GPOs that are linked to its child organizational unit, and so on. Local Group Policy object-each computer has exactly one Group Policy object that is stored locally. Domain-processing of multiple domain-linked GPOs is in the order specified by the administrator, on the Linked Group Policy Objects tab for the domain in GPMC. 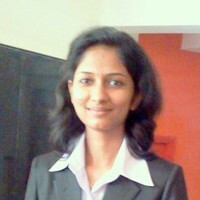 Site-Any GPOs that have been linked to the site that the computer belongs to are processed next. Scope is very useful here. These types of networks are also named multinets. empty and there is a need for new computers on the physical network. When clients have to move on another scope. when standard networks are limited to leasing addresses for the clients. 4) In which order of steps you will Add or Remove the Global Catalog? In the details pane, right-click NTDS Settings of the selected server object, and then click Properties. Open Active Directory Sites and Services. (Click Start, click Administrative Tools, and then click Active Directory Sites and Services. 5) Organizational Unit in Active Directory can be created using? Start>Administrative Tools>Active Directory Users and Computers> Right click the domain> Select New>Organizational Unit>Give the OU a descriptive name>Click ok>The OU has been created. The OU has been created>Click ok>Give the OU a descriptive name>Organizational Unit>Select New>Right click the domain>Active Directory Users and Computers>Administrative Tools>Start. Start>Right click the domain>New Organizational Unit>Click ok>The OU has been created. Start>Right click the domain>Select New>Organizational Unit>Give the OU a descriptive name>The OU has been created. 6) Which is the correct order of steps for determining the RID, PDC, and Infrastructure FSMO Holders of a Selected Domain? Click the RID Pool tab to view the server holding the RID master role. Click the Infrastructure tab to view the server holding the Infrastructure master role. Click the PDC tab to view the server holding the PDC master role. Click Start -> Run, type dsa.msc -> click OK.
Right-click the selected Domain Object in the top left pane, and click Operations Masters. 7) To transfer a role using ntdsutil use following steps below as a template for all the roles. Which is the correct order? Windows clients and down-level clients that have installed the distributed services client package do not perform directory writes preferentially at the DC that has advertised itself as the PDC. Once backup domain controllers in down-level domains are upgraded to Windows 2000, the PDC emulator receives no down-level replica requests. Windows clients and down-level clients that have installed the distributed services client package use the Active Directory to locate network resources. Password changes performed by other DCs in the domain are saved in the log file of main PDC emulator. Authentication failures that occur at a given DC in a domain because of an incorrect password are forwarded to the PDC emulator before a bad password failure message is reported to the user. Account lockout is processed on the PDC emulator. Have we missed any important question? Please feel free to comment below.